A meeting in response to World Water Day 2019 was held in Hanoi on March 22 by the Ministry of Natural Resources and Environment (MONRE), announcing various activities will be organized to mark the Day. 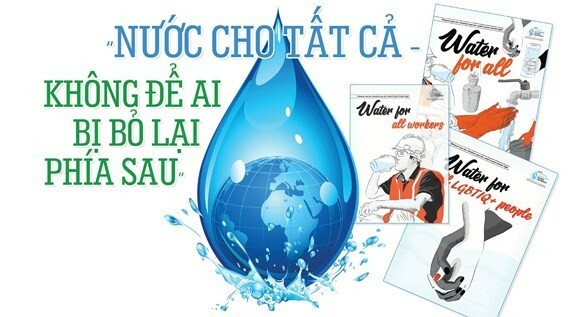 The Ministry also kicked off the Vietnam International Water Week –VACI 2019 that will take place on March 22-25. Various activities will be organized to mark the World Water Day this year including scientific seminars and exhibitions on water resources topics; handing over the underground water resource map with the scale of 1:200,000 to 31 cities and provinces in northern region in the first phase, the project of underground water protection in 9 big cities, including Hanoi, Hai Duong and Thai Nguyen which receive this project in the first phase, the project on the Investigation of groundwater resources in the mountainous region and areas of water scarcity to 10 provinces in the first phase, namely Cao Bang, Ha Giang, Tuyen Quang, Yen Bai, Lang Son, Thai Nguyen, Hoa Binh, Nghe An, Quang Binh and Quang Tri. According to MONRE, the demand of freshwater for human consumption and production has been sharply increased. The country is facing with the challenges of water security. The theme for World Water Day 2019 is ‘Leaving no one behind’. This is an adaptation of the central promise of the 2030 Agenda for Sustainable Development: as sustainable development progresses, everyone must benefit. Vietnam Water Cooperation Initiative (VACI) is the global platform to share and co-create innovative water solutions with particular emphasis on Vietnam and tropical water issues. Under auspice of Ministry of Natural Resources and Environment (MONRE)-the Ministry responsible for water management in Vietnam, VACI has been growing since 2012 and brings together thought leaders who are pioneering new solutions. It uncovers new scientific findings and technological breakthroughs that could be transformative for the water industry and connects the world’s leading companies and water professionals working in water sector. The unit also attracts decision makers across the entire water value chain that allows global water industry to collaborate on local business opportunities in Vietnam and the region. Hot and muggy condition has been spreading in the central region of Vietnam with outside temperature hitting 40 degrees Celsius sometimes for the past couple of weeks; upsetting the life of locals who have been desiring a rain, causing water shortage and facilitating salt intrusion.